On March 28th, a 75 year old woman who was trying to steal copper cable, cut into a fiber optic cable that provided internet access to most of Armenia and Georgia, leaving millions of people without internet access for a period of 12 hours. Stealing copper cable, is common practice in Armenia, were many poor look for ways to make money. back 15-20 years ago, when Armenia had a major earthquake and went though a major recession, many trees were cut in the streets and used as fire wood in the winter, leaving almost non-existent trees in most Armenian cities. Aishtan Shakarian, who lives in a small village near Georgian capital Tbilisi, was arrested by Georgian police. When she cut into the fiber optic lines and alarm went up, providing approximate location of the problem. When Georgian police arrived, the old lady was still digging for cable with a shovel. 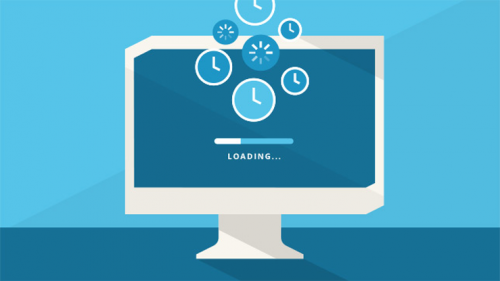 Some Armenian internet companies switched to alternative internet lines from Iran, but others were down for the full 12 hours of the interruption. The Georgia section of the international cable, which is called the country’s West-East fiber-optic backbone, is laid underground along railway tracks and operated by Georgia’s state railway company and its partners. The line comes to Georgia from Bulgaria, crossing the Black Sea to the Georgian port of Poti. It later forks into Armenia and Azerbaijan. The woman admitted to cutting the lines and surrounded to police. The police think although the woman was arrested, she may not spent much time in jail due to her age and may be given a break. Does your website get hacked on a regular basis? Are you tired of dealing with the downtime to your business caused by website problems? You’re not alone. Millions of e-commerce companies deal with the headaches of downtime, exploits and black listings. Unfortunately, it is difficult to find an affordable solution for startups and small businesses who want to fix website issues, test out their sites and track performance. But we’ve found one company that offers premium web site monitoring services at affordable prices, 1st Warning. A low-cost solution for web site monitoring services, 1stWarning tests your web services for all the major causes of downtime without the use of additional modules to enable multiple test types. Instead, the company uses a global network of monitoring stations to test your web services and alerts you when your website, email, DNS or other services are unavailable, hacked or have been blocked. The company offers comprehensive web site performance monitoring at a simple, affordable price. For example, if the monitor is for a website, the company tests the website to check if it is up and functioning, it has not been improperly redirected, the content has not changed unexpectedly, If you have a SSL certificate, that it is valid, not expired or not about to expire, your DNS settings have not been hijacked, If your site is not on a major domain block list and your site has not been listed as a phishing site (used by all major browsers). To learn more about 1stWarning web site monitoring services, please visit http://www.1stwarning.com/home/howitworks. Government gave Google clearance to purchase a travel software company called ITA Software for $700 Million dollars. Google is looking to launch a travel engine to search for airfare and hotels. This technology will enable Google to compete with sites such as Hotwire, Expedia and Kayak. Google offered a hint about what could be coming in a blog post Friday. It suggested that by simply typing in “flights to somewhere sunny for under $500 in May” into Google, a user would get not just a set of links but also flight times, fares and a link to sites for buying the trip. Is Forex Trading Meant for Everyone? Anyone is free to do Forex trading, but not everyone is meant or cut out to be a forex trader. This is not meant to discriminate any one but it is just that the Forex markets function that way. Due to the fact that the currency exchange rates fluctuate numerous times within a few minutes, the Forex markets are highly volatile and fast moving too. It is rightly said about the forex trading that you should never even think of investing any money here which you cannot afford to lose. The basic point is that the trader should expect to lose more than earning money from trading. But that is not the norm, just a reminder to stay prepared for the worst. The mention of forex trading almost always brings up the topic of forex brokers. Despite the fact that the forex brokers have a very bad reputation, it is necessary to choose a good forex broker and know how to spot a good one from the lot. Apart from the credibility, which is indisputably the foremost criterion, a good forex broker is one which offers competitive pricing of the spreads, with minimal or no requites. Traders who are interested in forex invest a lot of time and energy in addition to money, to trade in the forex market. While the amount of money invested depends on individual financial capacity, time and energy can be invested by everyone. The trader who invests time and energy in gaining knowledge about forex will definitely have a better edge. A new search engines that is currently in Beta stage, Wolfram Alpha is a bit of a mix between the Google OneBox and Wikipedia. It’s closed right now, as they are still testing it, but when it’s going to be open it will allow you to use normal search queries, as far as I can tell from the video demo that they’ve released. I didn’t get a chance to test this start-up yet, but they are launching soon enough, so a more detailed review is going to show up eventually. 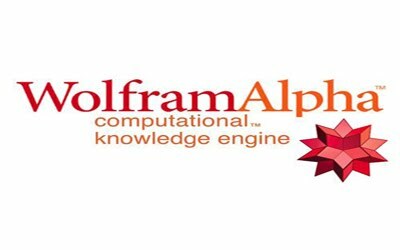 You can find out a lot about Wolfram Alpha by watching the video, as it gives you a lot of tips on what this new search engine can do. If you love data, the possibilities that this start-up is offering are stunning to say the least. The video is a bit blurry, but you can still get what it’s saying very well. Still, they should’ve done a better job on the video, considering that it’s the demo that they’re showing to the world. Wolfram Alpha shouldn’t be considered as something that will kill Google, but they aren’t really on the same level. There isn’t anything being done by Google right now that is on the same level as Wolfram Alpha. The public data search from Google might come close a bit, but not that close. Ultimately, the public test will make it or break it. If it’s good enough to be used on a daily basis then maybe it has a future. Anyway, as far as a normal search is concerned, Google is the best and it will be for a long time. Taking a look at it, Wolfram Alfa actually seems to be more of a Wikipedia competitor than a Google one. I’m actually looking forward for the open test, to see what it can really do.